Thanks for following this blog. This was an efficient way to share our ideas, back in the days. But we now have a website. We hope you'll enjoy it and find there everything you need to know, in order to start your simul-action! Action ideas from York+20: Children take over Rio+20! 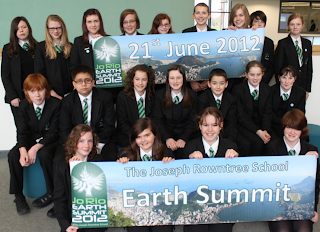 In (newly renovated sustainable) Joseph Rowntree School, New Earswick, York, UK, a small revolution is taking place. Quite literally. Young students of the school aged between 11-18 are organizing York+20, engaging children in sustainable development by organizing a series of events. For MyCity+20 it's particularly exciting to see their innovative action strategy. For this, they are organizing many activities that are very impressive. Apart from debates between young people, local and national MPs (where Adrian Ramsay, the deputy head of the UK Green Party will be present), they are also organizing a flash mob and a self-written environmental musical including music from all over the world. Another interesting idea is the 'dedicated pledge-wall' where invited guests write a pledge about what they will do to improve the environment after the summit. - creating films on saving the planet and putting on plays on the topic of sustainability. - An "edible insects" stand from FERA. - Calculating a carbon footprint and literally create a to-scale foot print "shoe" made out of cardboard which needs to be worn by volunteers during the whole event, to show how much impact we actually have on the world! Inspired by Severn Suzuki's speech at the Rio conference in 1992, the young students have brainstormed a series of creative, thought provoking action plans that is an inspiring example to everyone. This morning, MyCity+20 was invited to the White House for the launch of the "Youth Sustainability Challenge". Celine (Paris+20) who is currently based in DC and Kate (NY+20) who came from New York were there to represent MyCity+20. The speakers talked about the role of youth in moving towards a sustainable future. They insisted on the crucial role youth had to make change happen in their communities. Ronan Farrow mentioned the recent youth mobilizations around the World (from Santiago, Chile to Northern Africa, to Spain and Greece) and explained that the time is crucial for youth action. "We need to be the change we want to see" he said. Youth is now more connected and innovative than ever before. We need to use this potential to put our issues on the table and to lead the global conversation. Speakers insisted that since the last Rio confernence, change happened thanks to young people who have stood up and said that something needed to be done. We should continue to do this today. The panelists also explained what the administration is doing to promote public engagement within colleges (with the EPA On-Campus Ambassador program), communities, and at the global level. In different countries, thanks to a powerful network of embassies, the US is trying to empower youth throught the creation of youth councils and though direct conversations with young people. You can have a look at the websites of US embassies around the world to find more about this. Mr. Gary Suzy presented the "Youth Sustainability Challenge". It calls on young people to submit videos online showing how they make a sustainable difference in their communities. They call for innovative, individual or collective videos, presenting sustainability commitments and innitiatives. The best videos will be shown in Rio and their authors will be invited for an event at the White House. You will be able to find some pictures very soon on our facebook! Overall, this event was inspiring for the youth audience, we were able to discuss youth commitment for sustainable development with the US Government directly. Take part in the Youth Sustainability Challenge and add your voice! 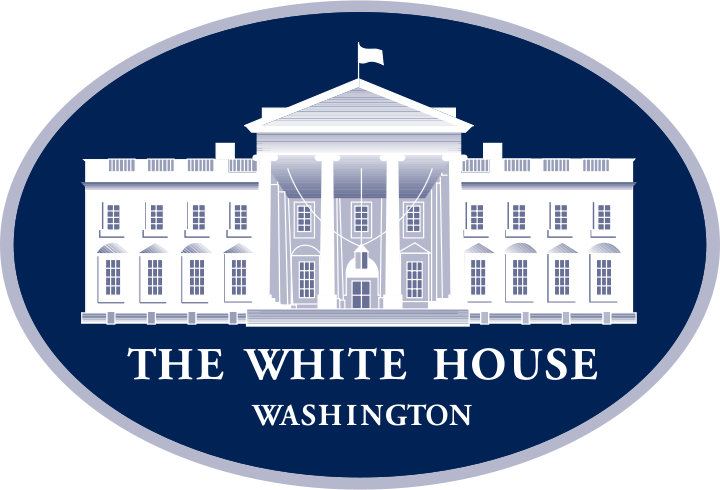 We want to thank again the White House Council on Environmental Quality for inviting us there! We're two weeks away from NY+20. Check out their new website and the event on facebook! The following is a guest post by Nicolò Wojewoda, Director of Road to Rio+20, a coalition of organizations weaving together a global youth-led movement towards the Earth Summit 2012. There are two clear reasons for young people worldwide to drop all plans in the remaining months until the summer break, and organize a MyCity+20 event. As other Model UN simulations, it’s a full educational experience by itself. You learn about global issues through preparatory research, you develop writing, public speaking, problem solving, consensus building, conflict resolution, leadership and cooperation skills. It’s fun. And it makes for excellent extra-curricular activity, complementing what you learned in the classroom. But if that was all there was to it, we wouldn’t be shouting from the rooftops how crucial organizing such an event is for the future of your community (or, for that matter, the world). There are already numerous excellent Model UN events and networks that do wonders for your CV and professional development trajectory. MyCity+20 is about more than that. The outcome of the simulation is only part of the picture. When you finish your discussions, when you draft your final declaration, and when you take your country delegate hat off, you realize something: the simulation is just the start – action needs to follow. And here’s where reality comes into play. Despite being touted by the UN Secretary-General as one of the most important conferences in the history of the United Nations, Rio+20 is now flying completely under the radar. Few governments (if any) are making commitments in policy and funding that match the current challenges of an unsustainable world and its multiple multi-faceted crises. Most people around the world don't even know what the summit or its themes are, due to the notable absence of discussions around it in schools, universities, and mainstream media channels (aside from the occasional mention in the environmental column). There’s an incredible potential for young generations to take on a leadership role and address these issues, in international negotiations, and in communities around the world. Road to Rio+20 is weaving together such a global youth-led movement, with its 90+ organizations and their combined outreach to millions of people on all continents (and yes, even in Antarctica!). Since 2010, we’ve been mobilizing youth to make their voice heard and to take action – pushing world leaders in all sectors to play their role in the development of a more sustainable world, and creating that world ourselves. MyCity+20 joins the Rio+YOU campaign as the key initiatives that the coalition is supporting in the lead up to the summit. We’re encouraging and empowering young people to organize events, share stories, grow a global online conversation, educate each other, become more entrepreneurial, and become advocates of the future they want. On April 22, Earth Day, we’ll take the next step in our journey by Mobilizing the Earth towards Rio+20. Our hope is to see MyCity+20 events spread like wildfire all over the world, in quickly growing numbers from that day of mobilization. Our belief is that these events can shift the conversation we’re having in our communities, and build solid plans of action, led by youth, on how to transition those communities towards a sustainable future. So next time somebody asks you “why another Model UN?”, remind them that yours is not just a simulation, but more of a simul-action. And that when the outcome of the event is finalized, and all roles have been successfully played, that’s when the work really begins. Why is it relevant to reinforce the role of local authorities? Katharina Hess and Susanne Salz of ICLEI explain why local authorities need to be included in and empowered to play a greater role in global environmental governance. To find out more about ICLEI’s involvement with Rio+20, visit their website at www.iclei.org/local2012. ICLEI — Local Governments for Sustainability (ICLEI) is an international association of local governments and national and regional local government organizations that have made a commitment to sustainable development. ICLEI highlights its work with 110 large cities in its membership, 12 of which are mega-cities as well as over 1000 medium-sized and smaller cities and towns in over 70 countries. Amongst others, ICLEI supports cities to become low-carbon, resilient, bio-diverse, resource-efficient, and to green their infrastructure and urban economy and to achieve a healthy & happy community. Its basic premise is that locally designed initiatives can provide an effective and cost-efficient way to achieve local, national, and global sustainability objectives. ICLEI realizes that summits such as Rio+20 hold great significance in shaping the future we want. We are currently living beyond the carrying capacity of our planet and in the next 40 years we have to build the same urban capacity which we have built in the past 4000 years. ICLEI’s vision is to make systemic changes to ensure sustained human life on earth and for Rio+20 to be more than just a declaration – the conference needs to decide upon and present concrete actions! ICLEI’s submission for the outcome document at Rio+20 therefore calls for a greater role of local authorities in the process, amongst others. Why cities and local governments you ask? In 2050, 9 billion people will live on this planet with two-thirds of the population living in urban areas. Cities will account for 90% of the global economy and between 2005 and 2025, an estimated 200 trillion dollars will be spent globally on fixed urban assets. This economic growth should be resource-productive, resilient, low-carbon and low-risk urban infrastructure. Moreover, cities will consume 80-90% of the global energy, and will be responsible for just as much greenhouse gas emissions stemming mainly from building heating and cooling, transport and energy production. It therefore makes sense to include cities, and more particularly local governments, in global environmental governance since they are part of the problem but can also be part of the solution. The idea of MyCity+20 to engage citizens at the local level into the global Rio+20 debates is the embodiment of something at the core of ICLEI: "Think global, act local!". Let's work locally for a successful global Rio+20 conference! On this Earth Day, let's mobilize ourselves to better the environment and surge ahead sustainably! Don't forget to be quick! It's only 20 days away. MyCity+20: Are you on the map? Our project is aimed at mobilizing the youth world over, educating them on the urgency of sustainable development issues and encouraging them to involve themselves in the negotiation process of Rio+20. We want to prove that the youth is ready to play an active part in international negotiations and to shape its own future of a sustainable world! Organize a simulation wherever you want!